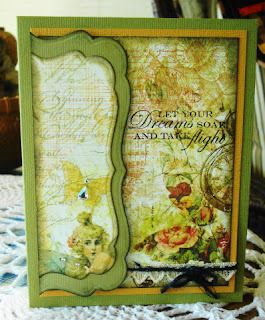 Vada's Blog Stamp Inks and Paper : Let Your Dreams Soar. 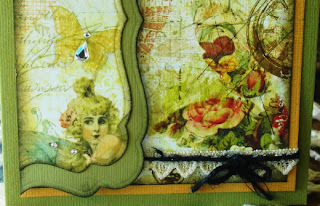 Today I’m working with some beautiful designer paper from Gypsy Chic (Butterfly Garden). Plus I used two new stamps from TAC, called Fairy Wishes. If you look close enough to the background, you can see this beautiful bird cage with butterfly. I added chalk highlights to the fairy’s face and glitter pen to the wings. Hope you are having a wonderful week-end, not to many left before school starts. My goodness were did our summer go? Stunning, Vada. I adore the coloring. WOW that is pretty Vada, Does the side open? Just wondering if it held a hidden message!